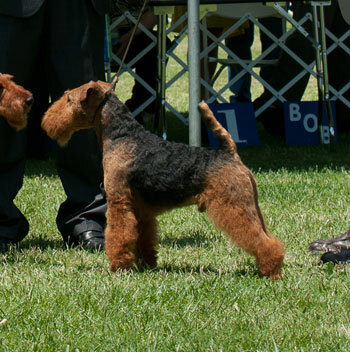 Started and finished his Canadian Championship at Canada's largest show (LMDF 2010) with a BOB over a BIS/BISS Welsh Terrier and 2 Group 1st wins and a Reserve Best in Show! This is a temporary page that I have put together for Monty. I plan to write much more and fill this in with many more photos. For now, I have provided a few links. The litter that he came from - click here. 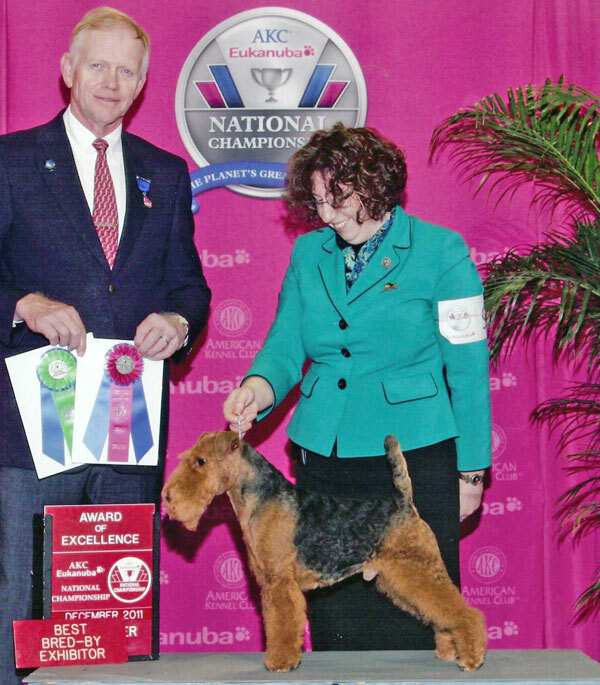 Monty's sister: Emme - American Grand Champion Darwyn Esmeralda in Sanherpinc - click here. 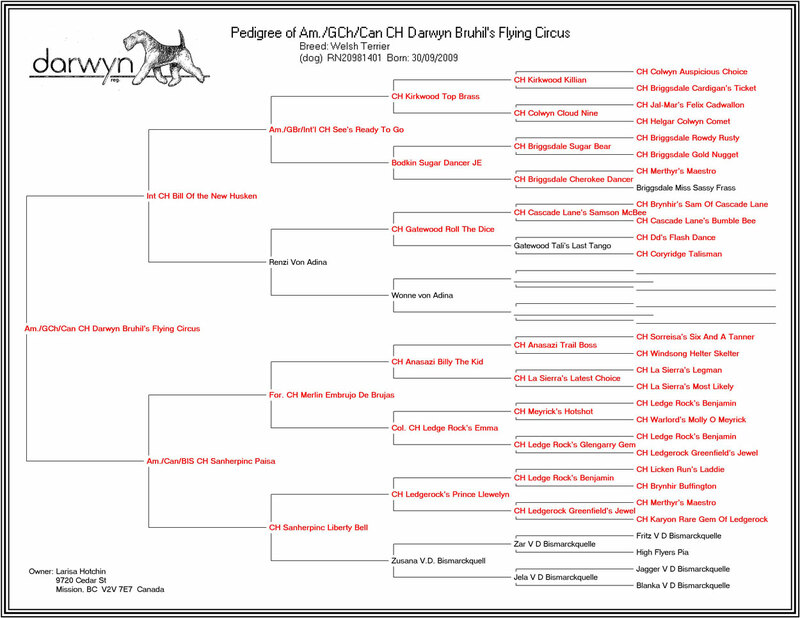 Monty's son: Zorro - Ch Darwyn Don Diego de la Vega - click here. Holiday at Long Beach with Monty and his dam Paisa and family - click here. Monty's daughter: Jessie - Am. CH. Darwyn Jesterr's Holding Court - click here. Monty's daughter: Ella - RBIS Can CH. Darwyn You Make My Heart Sing - click here. I have also written quite a bit on my blog about Monty over the last couple of years. If you go to my blog, click on the key word on the right hand side (Monty) you will go to those stories.